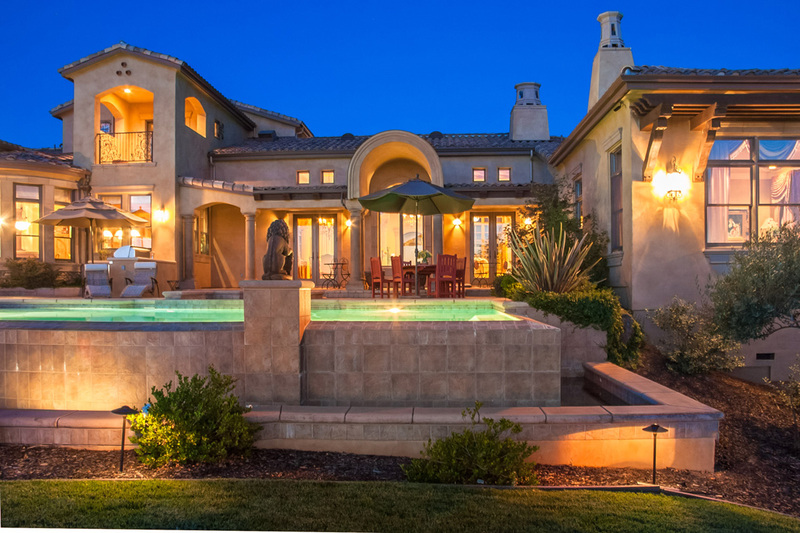 “The Street of Dreams” featured property! 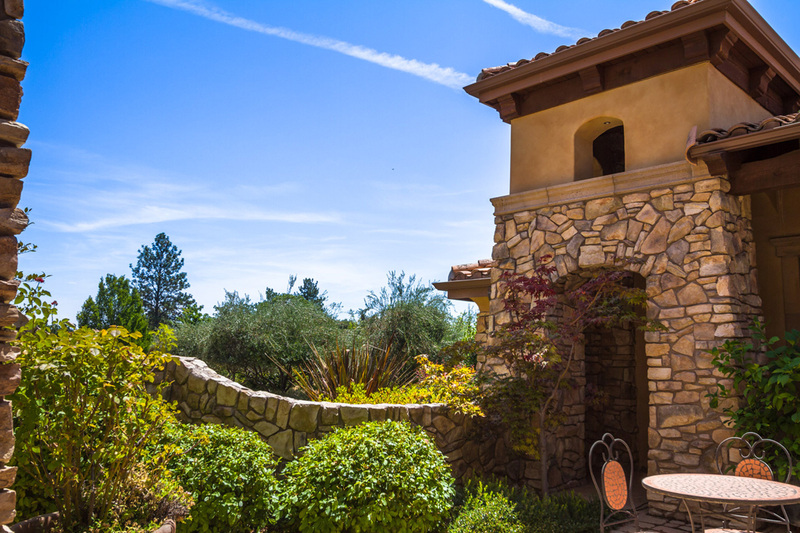 Perched atop a scenic knoll with stunning lake, mountain and golf course views. As you approach the multi-colored stone driveway, you are struck by all the textures of stone, terra cotta, copper, stained plaster and age-stained concrete columns, dark iron and seeded glass and iron fixtures. The entry is a two story stone tower with heavy timbers protruding from a tile roof and a pair of 18th century rustic timber gates. 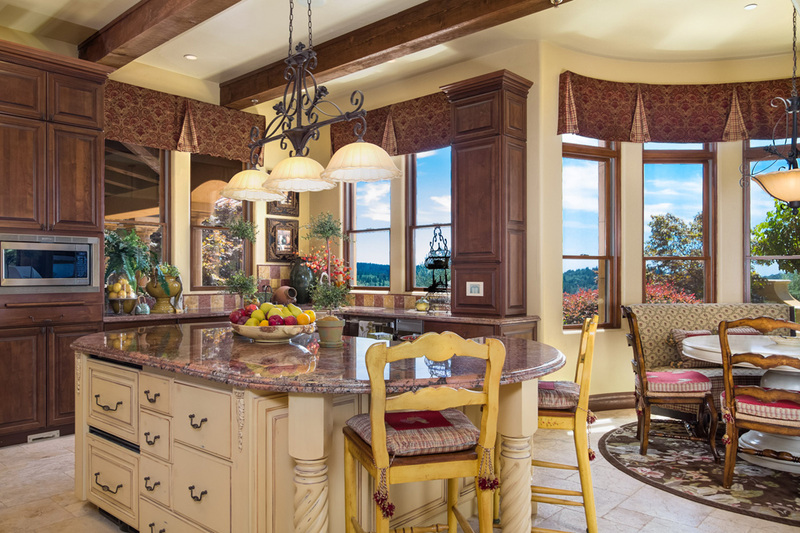 A dome ceiling frames the hand-blown iron and amber glass chandelier. 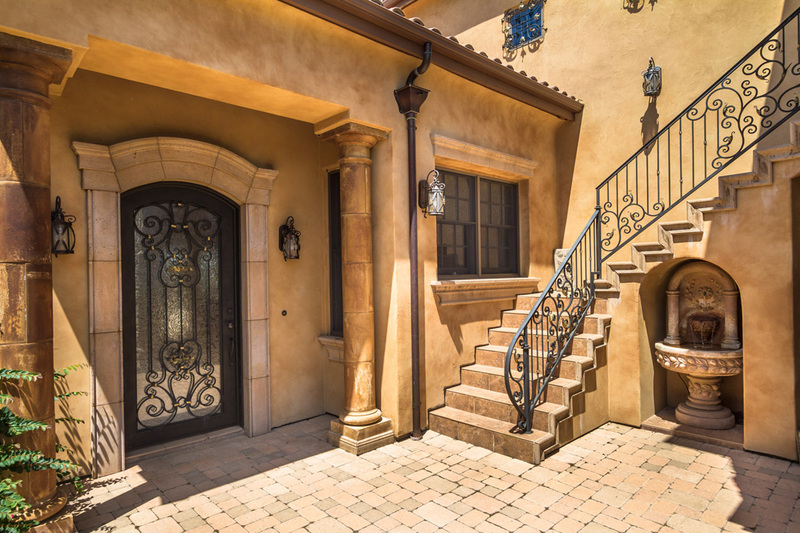 A custom-made arch-top iron and glass front door opens to reveal four 9’ tall acanthus leaf stone columns dividing the entry from the formal living and dining room. 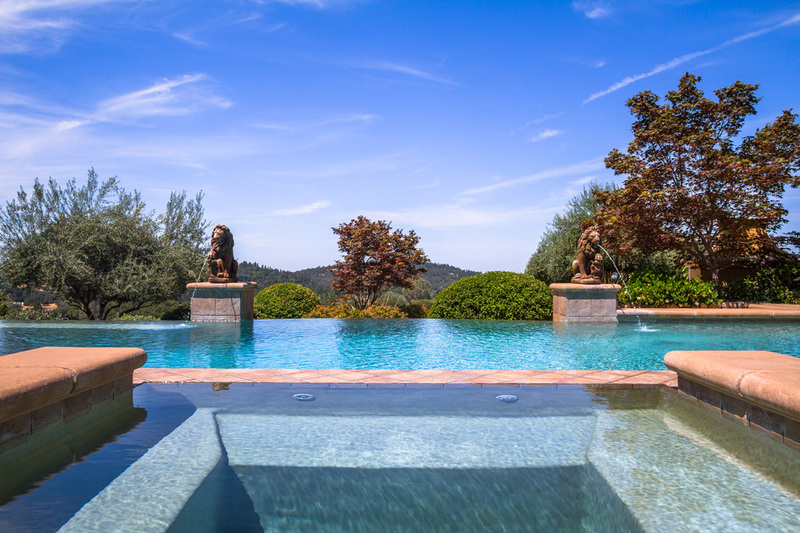 Stepping onto the unique Versailles pattern hand-chiseled tumbled and honed amber marble stone floors, you view the glorious infinity-edge pool, golf course and lake beyond. 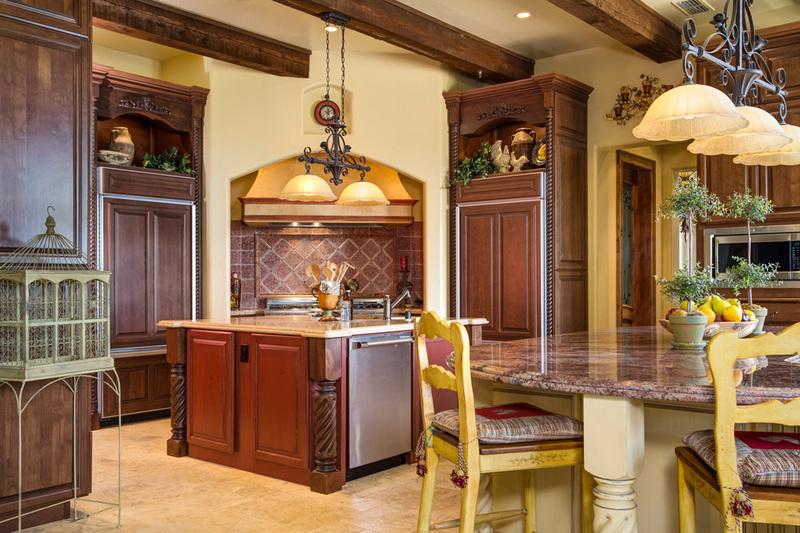 The flavor of Tuscany country living is evident in the kitchen with old rustic timbers; rich stone textures, warm terra cotta and butternut color tones. 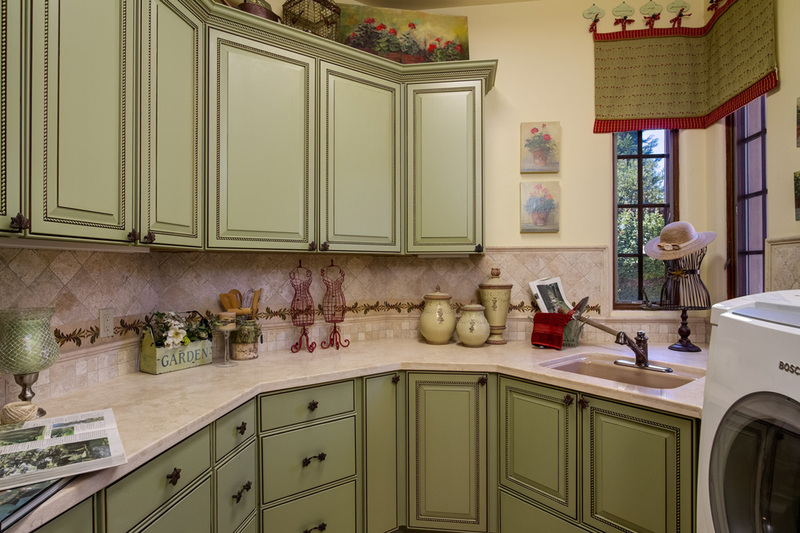 This Old World kitchen still sports the most up-to-date professional appliances which include a professional range, 3 ovens, vegetable and pasta steamers, 2 dishwashers, a built in coffee maker, upright refrigerators and under counter, freezers and refrigerators, baking island, chef’s prep island and warming drawer. 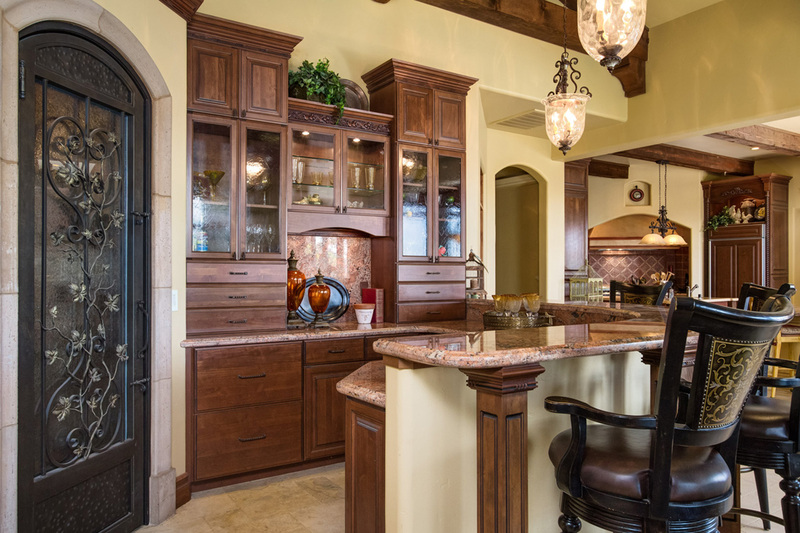 The majority of the cabinetry is walnut–stained cherry with a chocolate wash. Each island stands on it’s own to mimic old antique furniture. 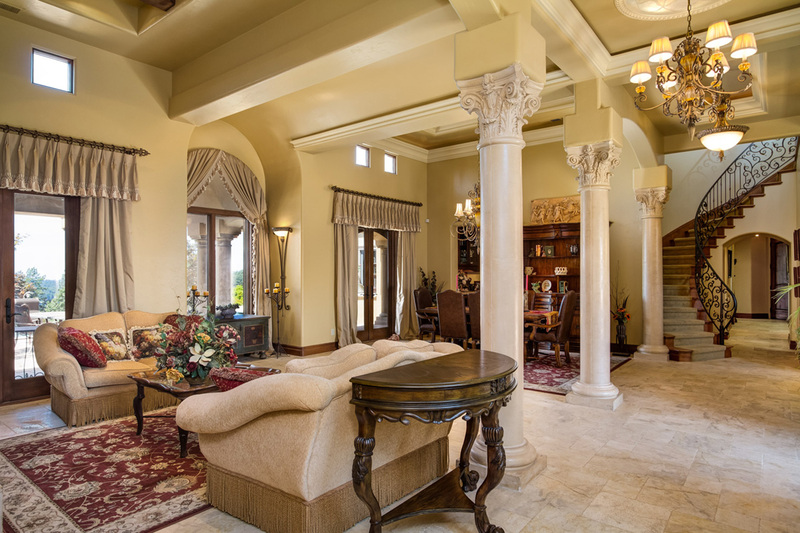 Soaring cathedral-like rustic timbers and corbels adorn the family room. 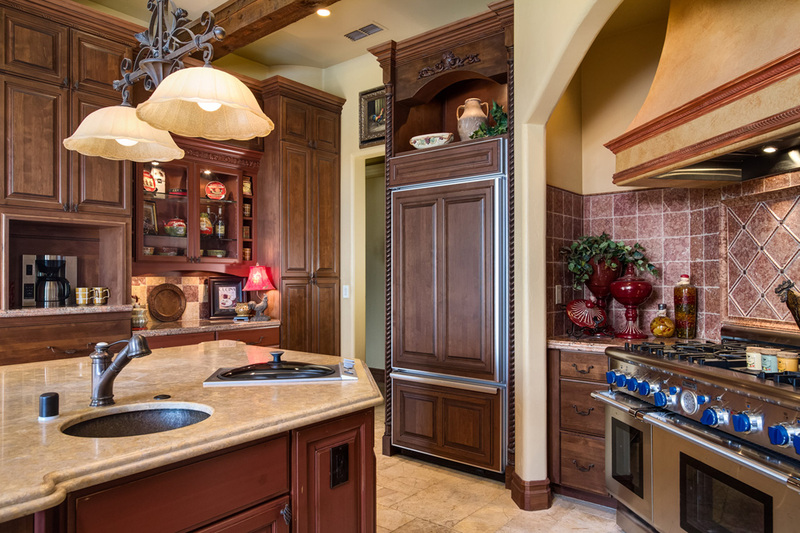 Anchored on one end is a granite top circular bar and iron entry door to the cozy wine cellar. 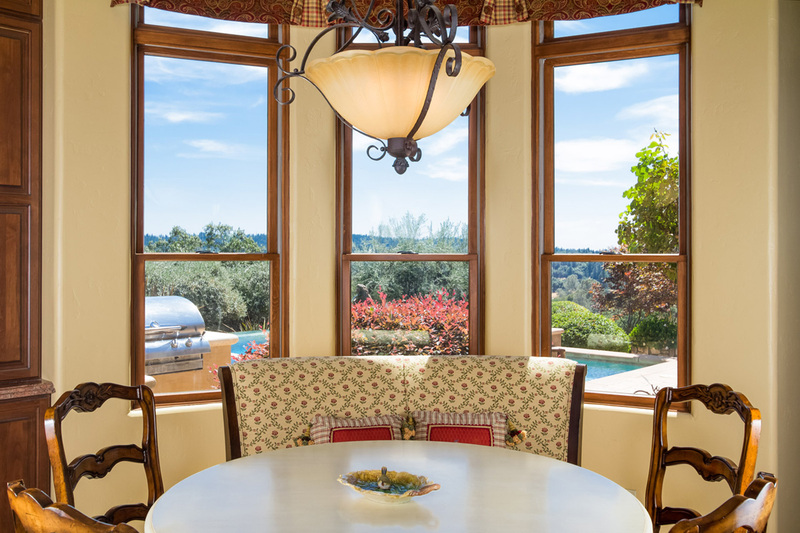 At the opposite end, a grand set of windows unfolds to a spectacular view of the green Darkhorse golf course and blue lake beyond. The central point of the family space is a large fireplace with berry and leaf motif. The use of rich textures, intense colors in combination with various periods of antique furniture reflect a warmly elegant inviting space. 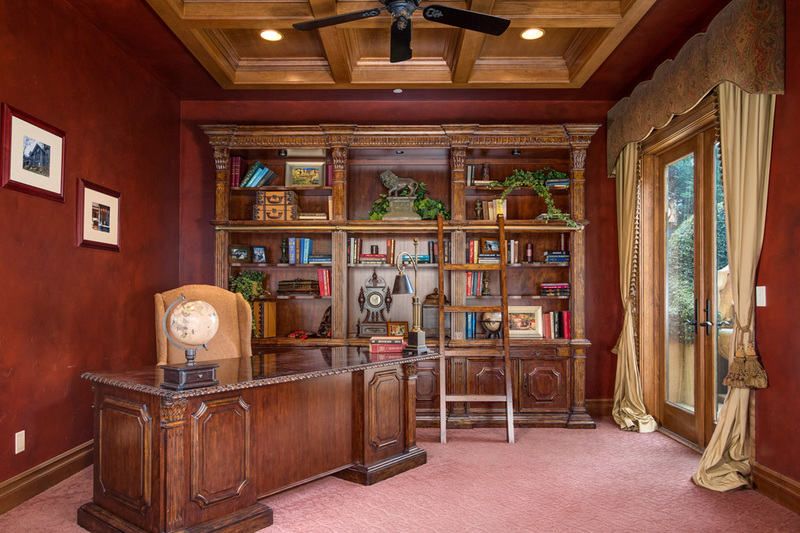 The carved stone fireplace is flanked by antique walnut carved bookcases. 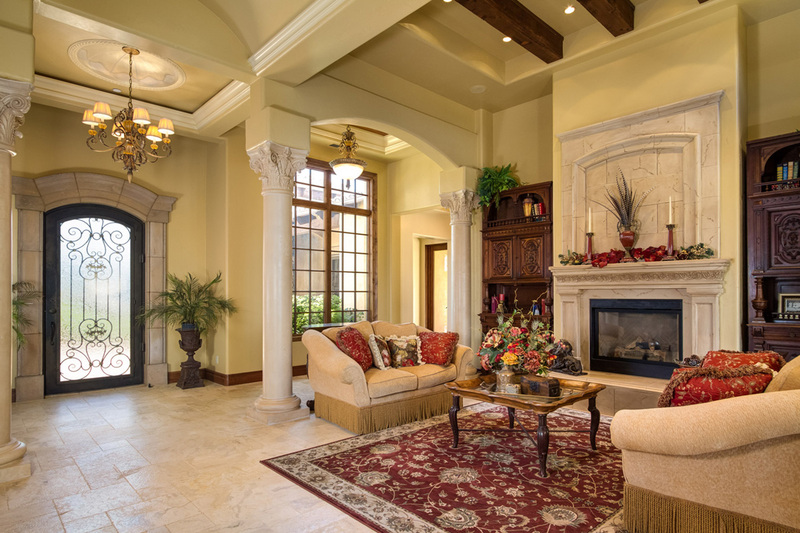 This expansive space features several diverse ceiling treatments as can be seen from the entry. 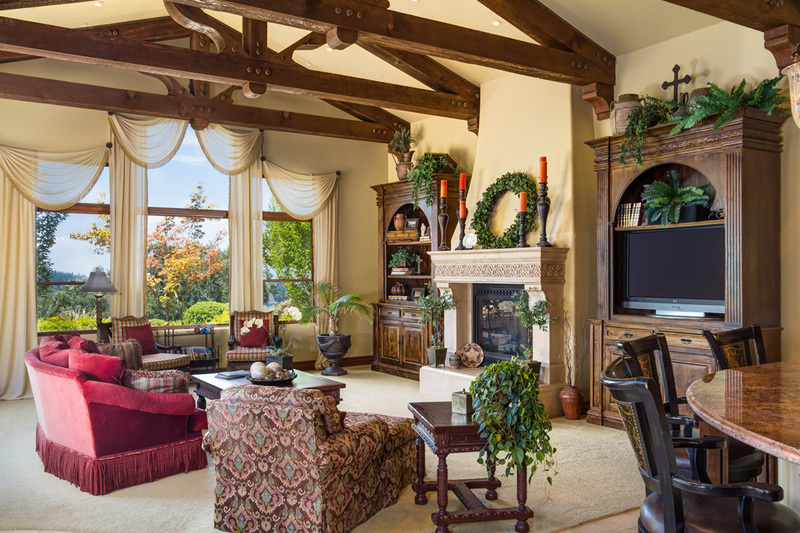 Four triple-tiered backlit try ceilings with massive Douglas fir beams grace the soffit. The master suite is replete with back –lit tray ceilings with large crown moldings. 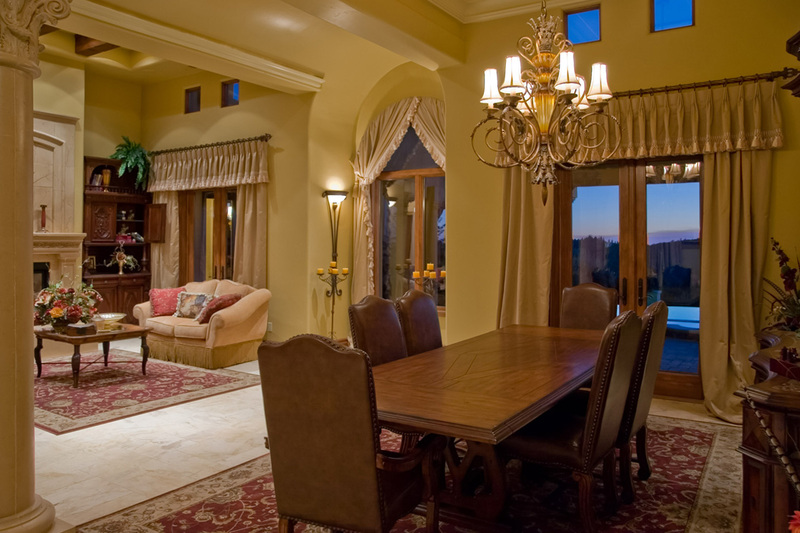 Stone floors and the use of warm yellows and ochre’s create an elegantly unique and comfortable atmosphere. 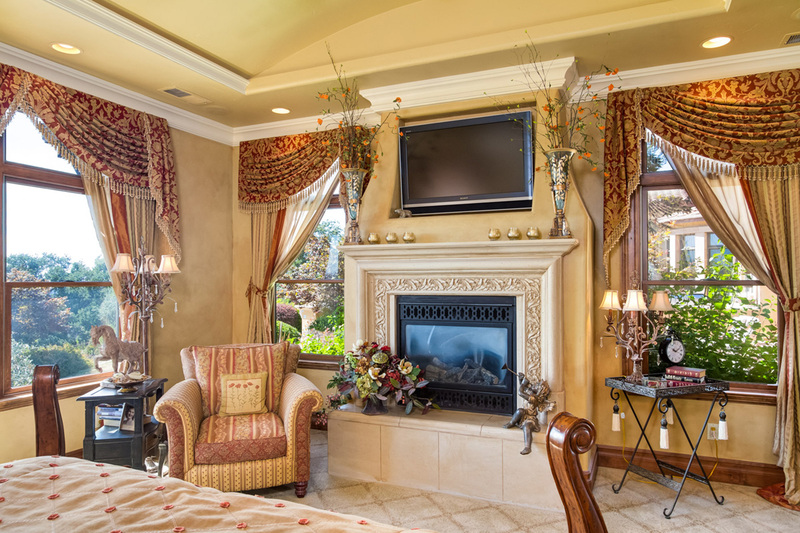 This suite overlooks the lake and golf course with an anchored element of another stone fireplace adorned with leaf and berry fresco faux-finished walls coupled with subtle woven carpet in a trellis design contribute to this Tuscany retreat. 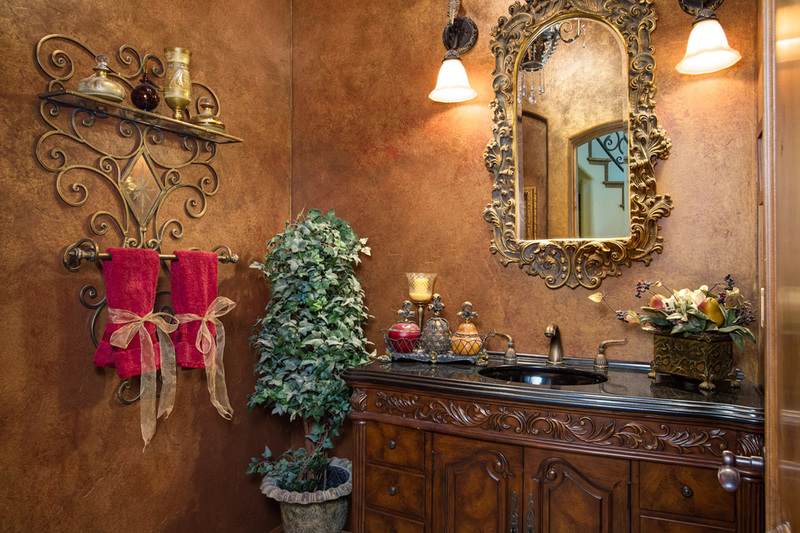 Walnut stained and chocolate glazed master vanities with stone sinks and carved basket weave storage towers sit atop limestone slab countertops. 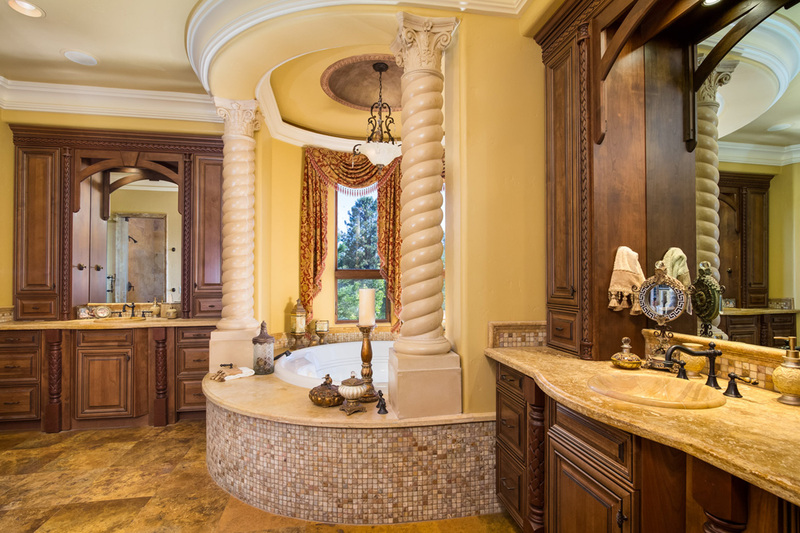 A circular tub deck with Tuscany twisted columns supports a backlit domed ceiling and onyx, limestone and marble adorn the floors and countertops, tub decks and showers. 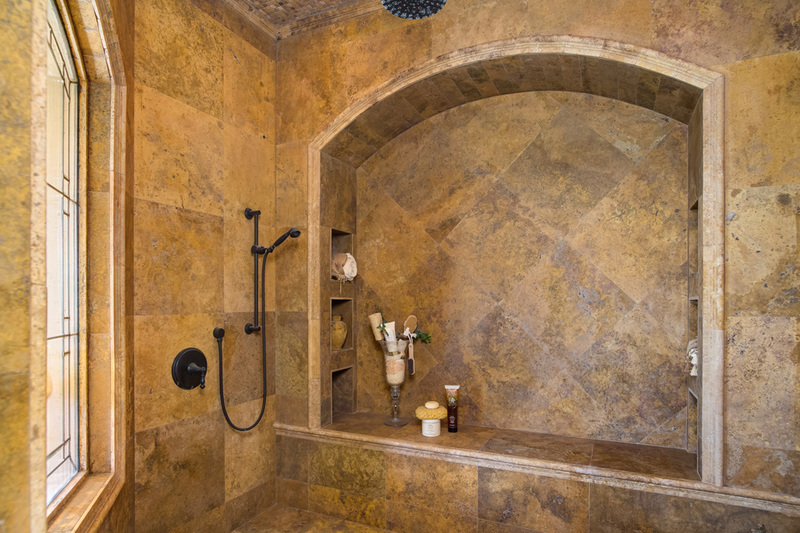 The shower has a steam bench and six niches for housing aromatic oils and special nothing lotions. 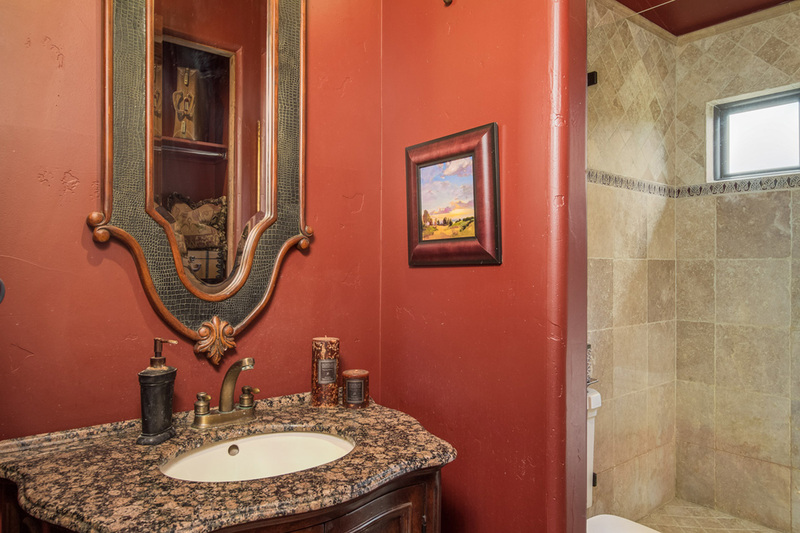 A special feature of this bath is the hidden TV screen behind the vanity mirrors that is tied into the whole hose automation system controlling all lighting, security, and entertainment system including the elaborate theater. 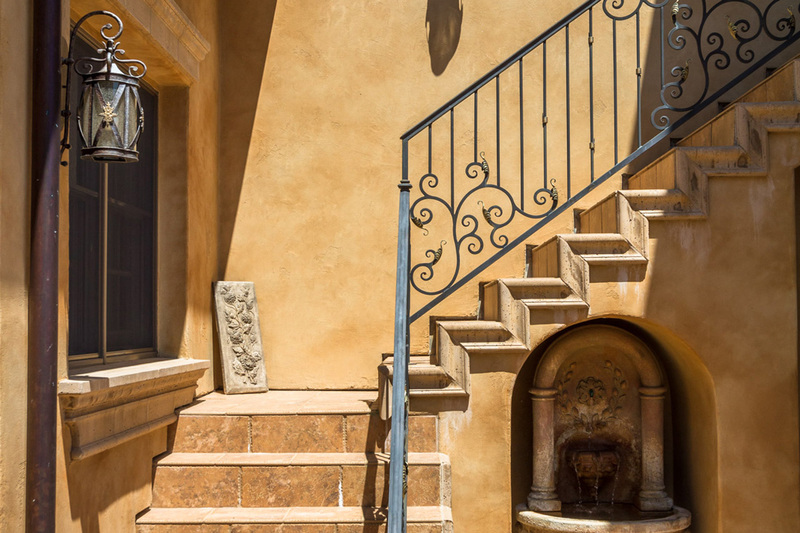 The guest quarters/casitas include English antique library and is flanked by two pavestone courtyards with unique fountains in each as well as Sienna leather-fauxed walls and cherry box beam ceilings. Enjoy the vanishing infinity-edge pool which is accentuated by the backdrop of the Darkhorse Golf Course and breathtaking views of the beautiful Lake of Pines. 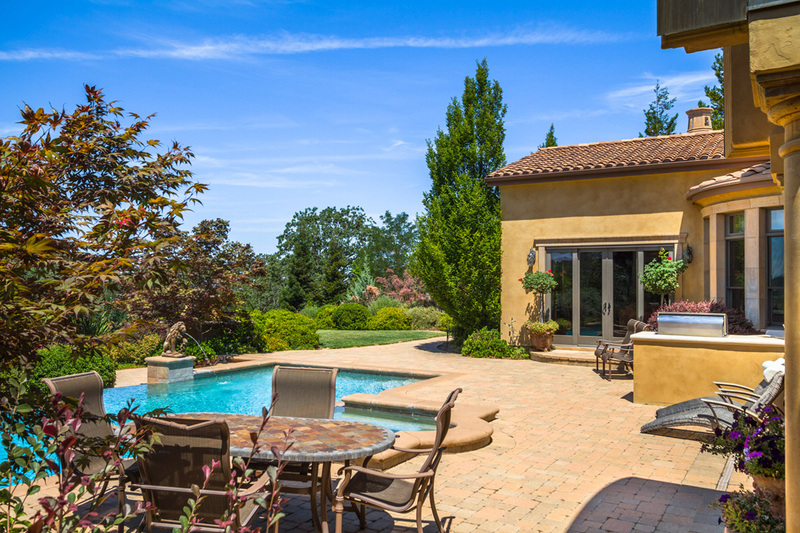 Sit and enjoy the outdoor fireplace as the sun cascades over of the beautiful Sierra Nevada Foothills. 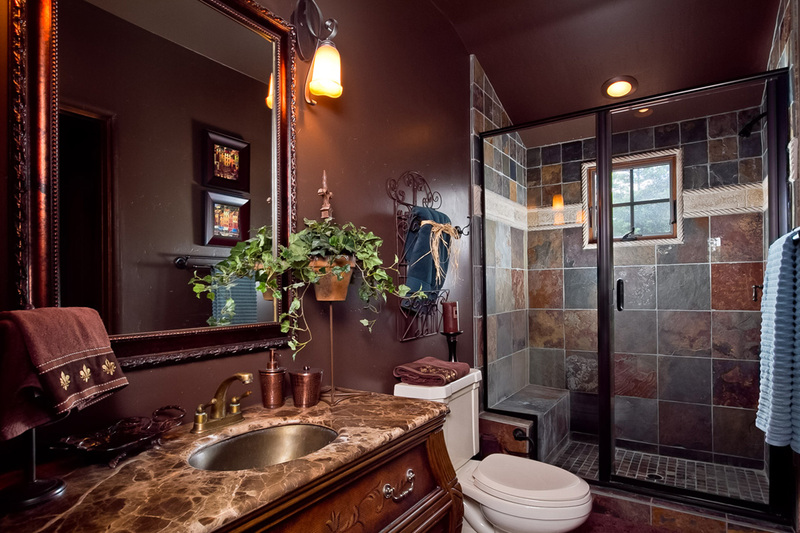 Beautiful and spacious entertainment room with has it own private balcony which looks over the beautiful Sierra Foothills, golf course and Lake of Pines. 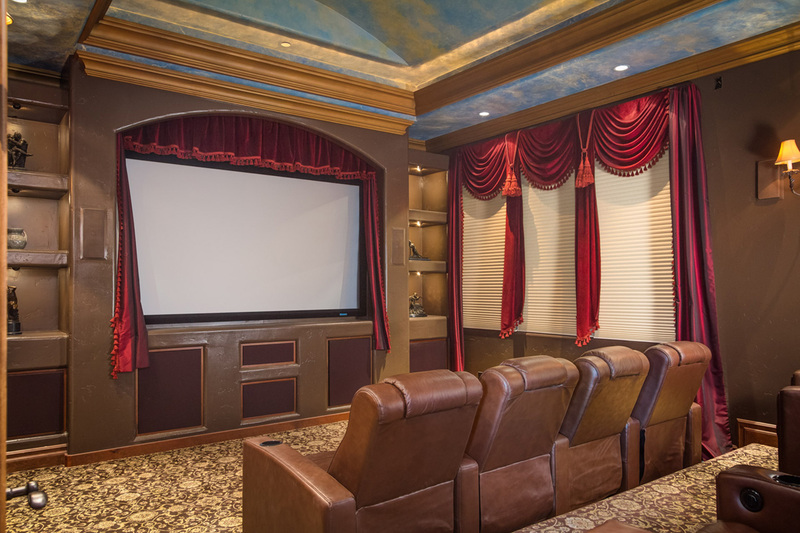 The elaborate in home theater offers dramatic 110 inch movie screen viewing and includes reclined setting for 8. 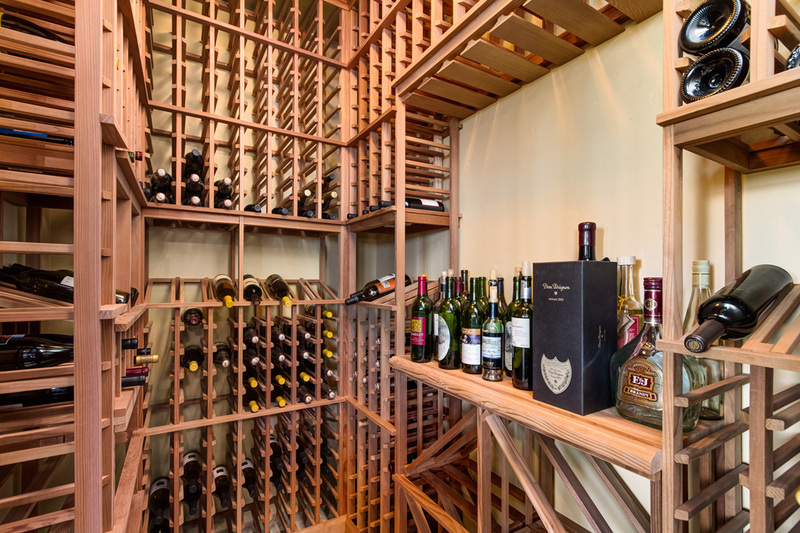 Beautiful wine room with custom racks and ample storage for your individual collection. 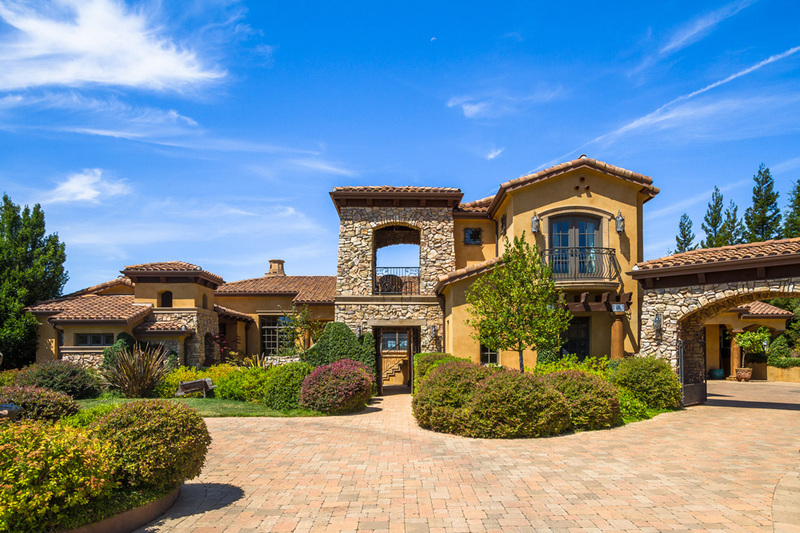 Besides detailed designer elements which enhances the Tuscany Old World Villa theme, it also enters the new world of technology with a Creston computerized automation system that makes controlling the climate, lighting and entertainment a breeze to operate! 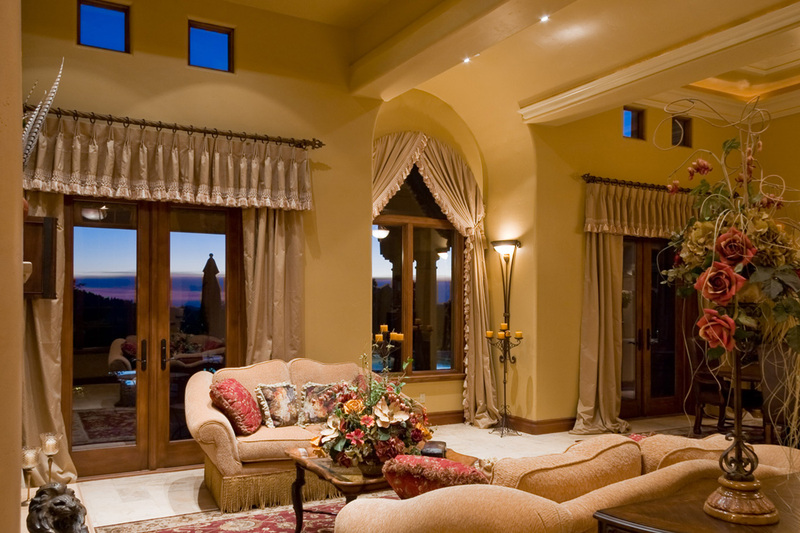 Various lighting themes can be controlled throughout the house at the touch of single switch or view pad. 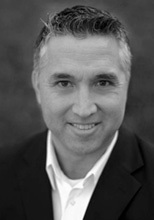 The community of Darkhorse is located in Nevada County, California in the foothills of the Sierra Nevada Mountains. 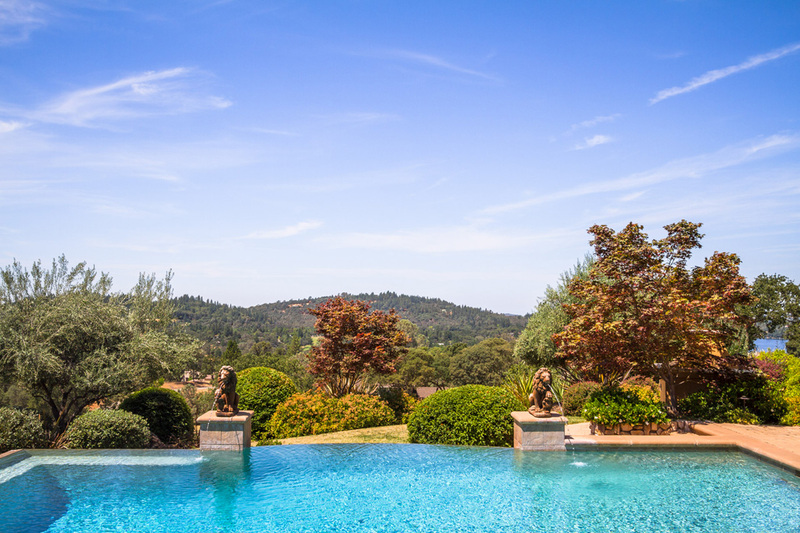 It's about an hour's drive northeast from Sacramento off historic Highway 49, midway between the old gold rush towns of Auburn and Grass Valley/Nevada City. It's also an easy drive to Lake Tahoe and Reno. Darkhorse is about 1600 feet above sea level, thus creating an ideal environment that is above the valley fog and below the snow line. The four seasons bring a multitude of spring wildflowers, hot summer days, fall color, and crisp clear winter weather. 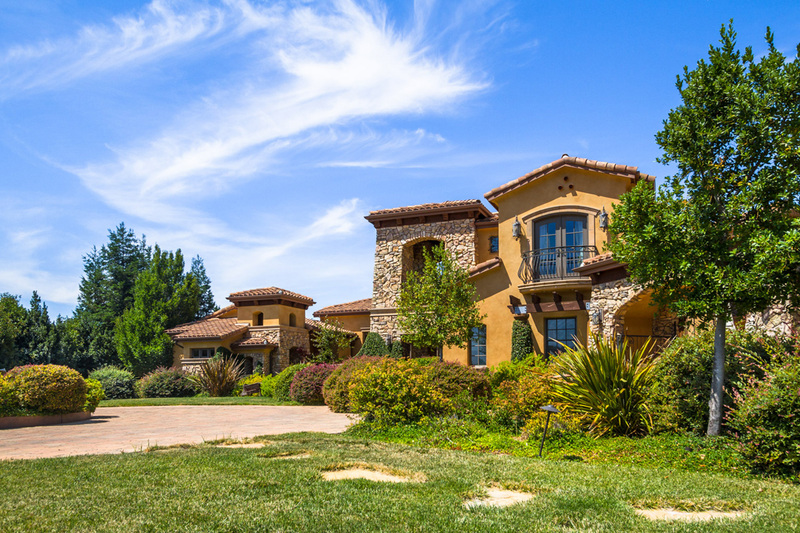 Many of the 200 lots or homes offer scenic views of the Darkhorse Golf Course, a nearby lake, wooded open space, and spectacular sunsets. 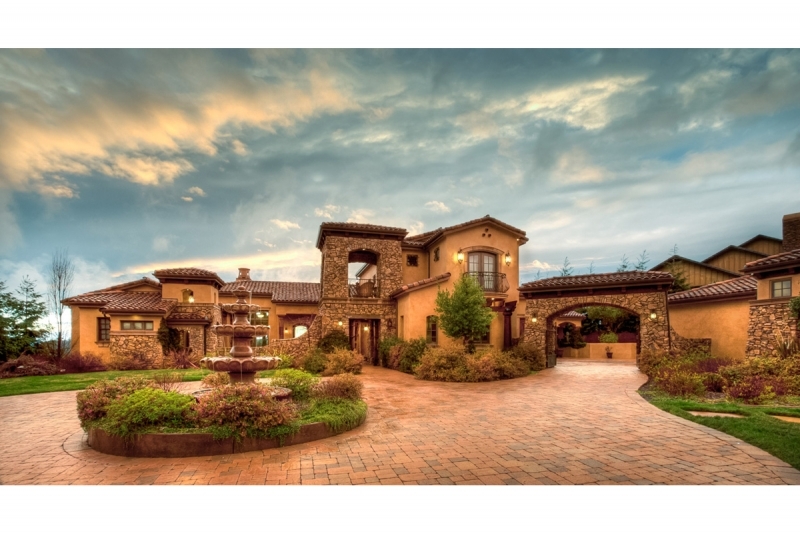 In 2006, Darkhorse was the chosen site for a Street of Dreams home tour showcasing four premier luxury homes situated above the 17th fairway. 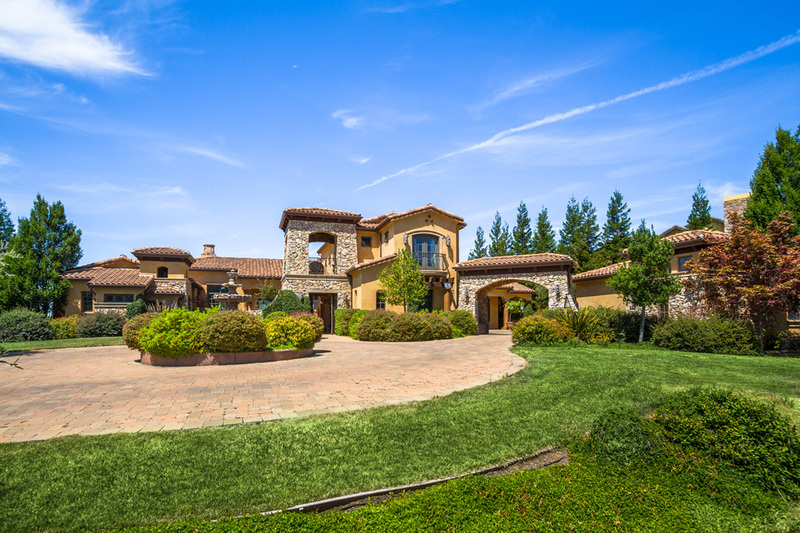 Darkhorse Golf Club is one of the finest courses built in Northern California in many years. In its most recent ratings by GolfWeek Magazine, Darkhorse Golf Club is once again rated in the Top 10 in California being 9th in a list that contains such luminary courses as Pebble Beach, Spyglass Hill and Torrey Pines South. Architect Keith Foster laid out DarkHorse to create a handcrafted masterpiece that lovers of the game will want to play again and again to challenge their strategic thinking, risk-taking and shot-making skills. 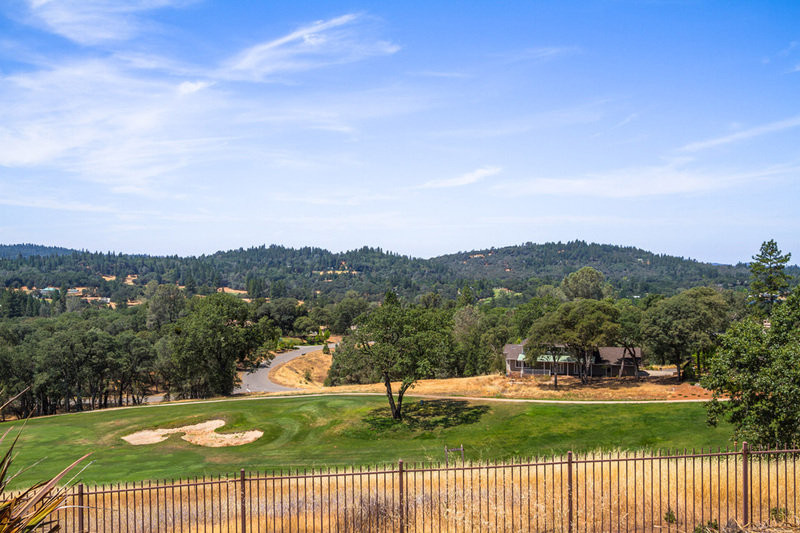 The course blends into the natural harmony of the California foothills landscape. 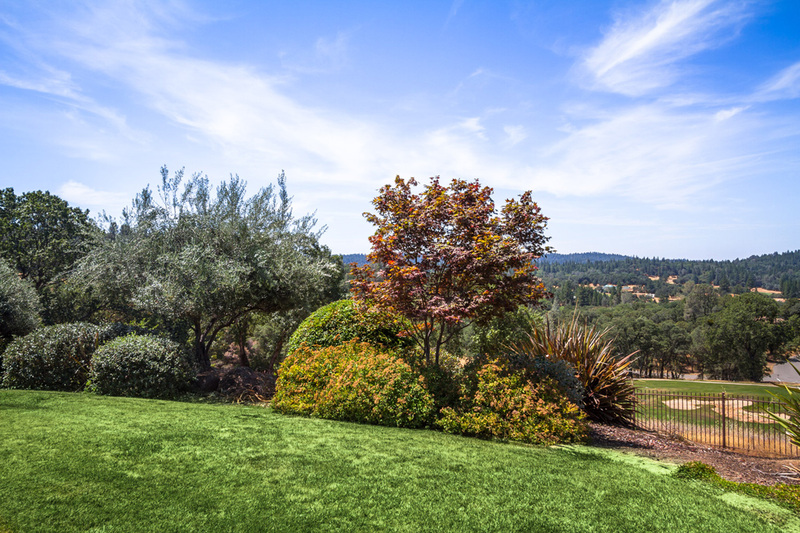 The holes and greens were classically sculptured to fit the gently rolling terrain of golden hills studded with oak trees and fragrant pine trees. This par 72 course has 5 sets of tees offering an enjoyable experience for golfers of all skill levels. The championship tees stretch to 7,096-yard while the shortest tees at 4978 yards offer a challenge without straining your love of golf. 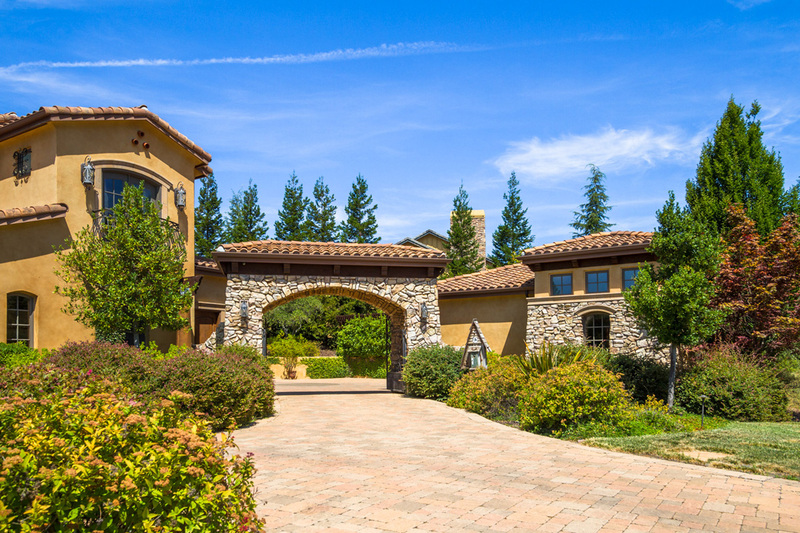 Be sure to check out the Darkhorse Golf Club website and the Nevada County website for more information surrounding area and our community.